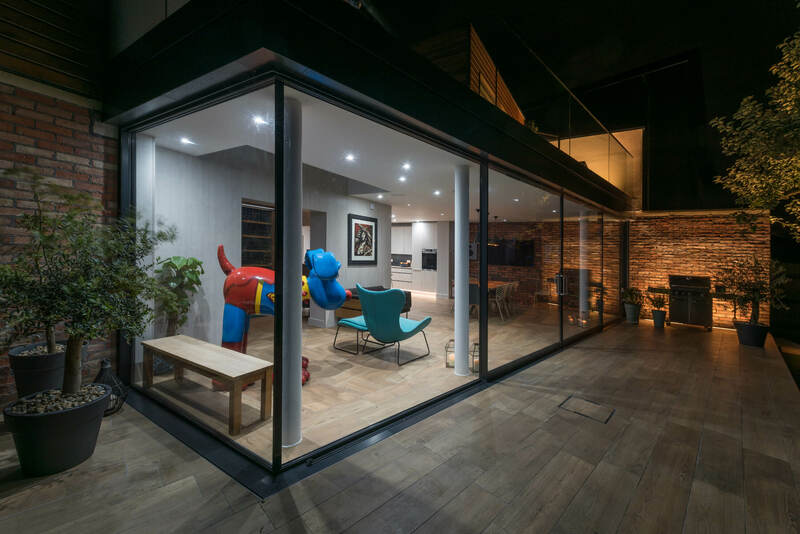 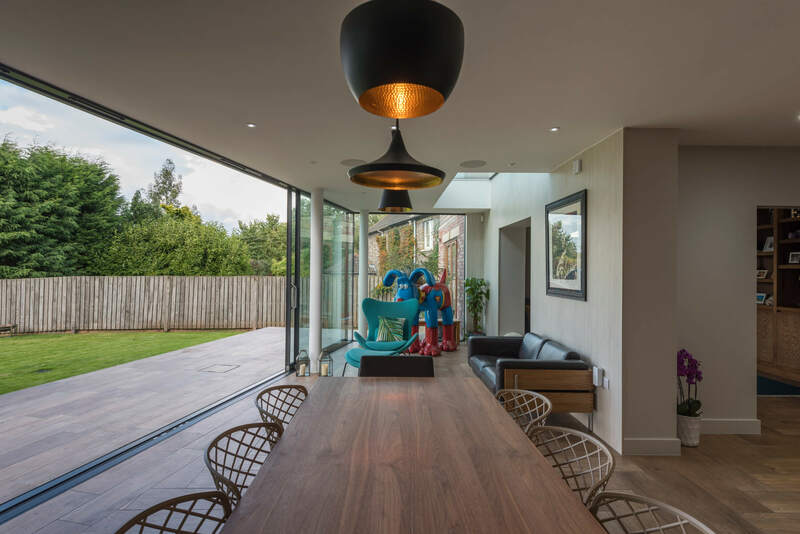 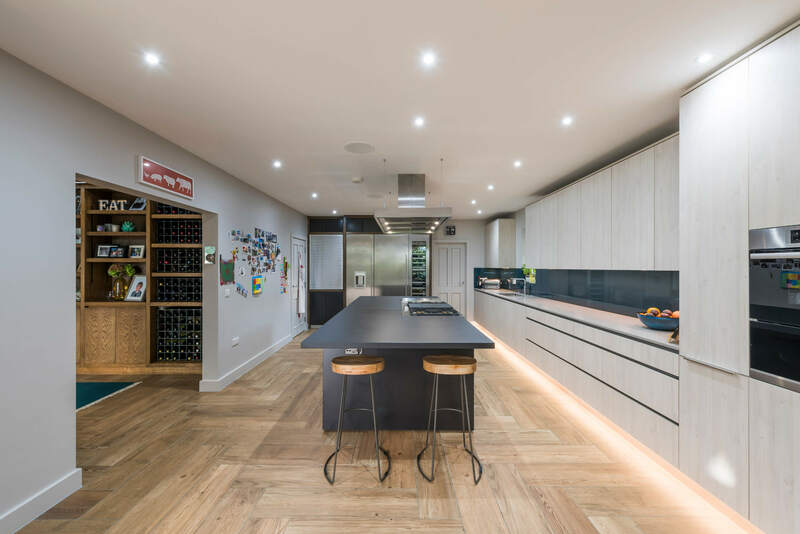 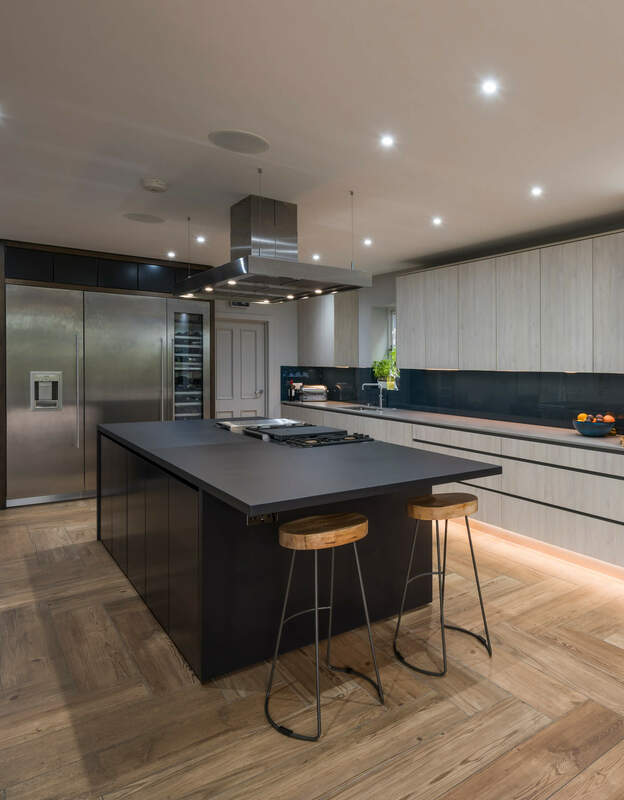 The brief included the extension and fitout of the ground and first floors of a large semi-detached house to create open plan living space onto the garden. 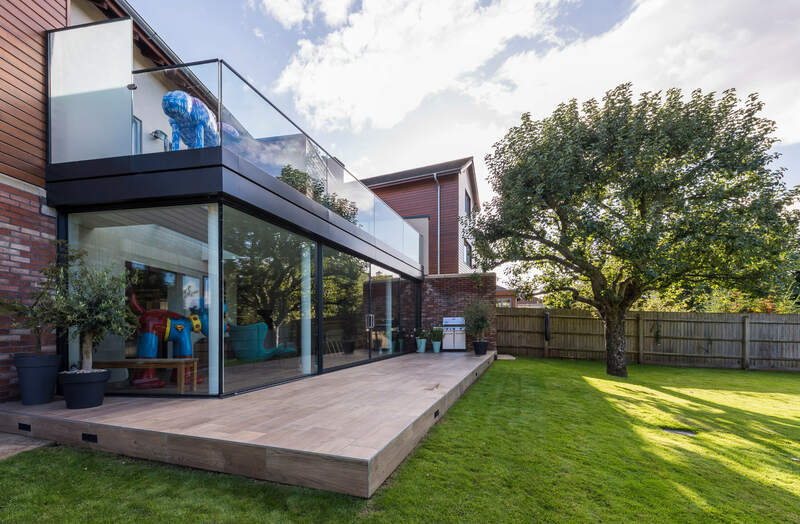 Extensive north facing glazing was used to open up the rear of the house to the garden. 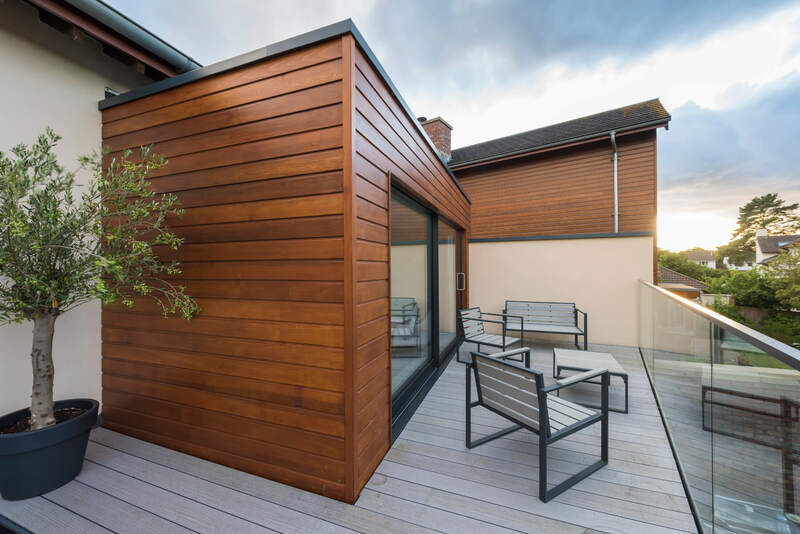 A new first floor roof terrace provided access to the garden from the master bedroom. 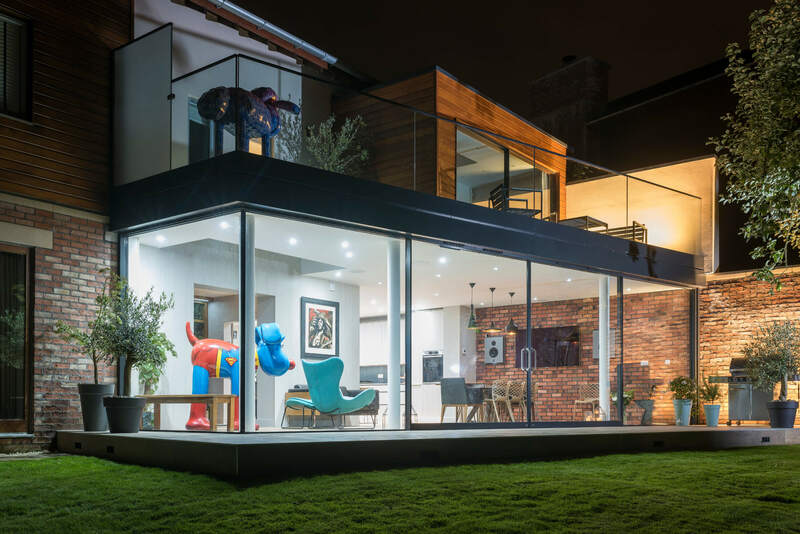 Carefully located rooflights were introduced to ensure natural daylight penetrated deep into the plan. 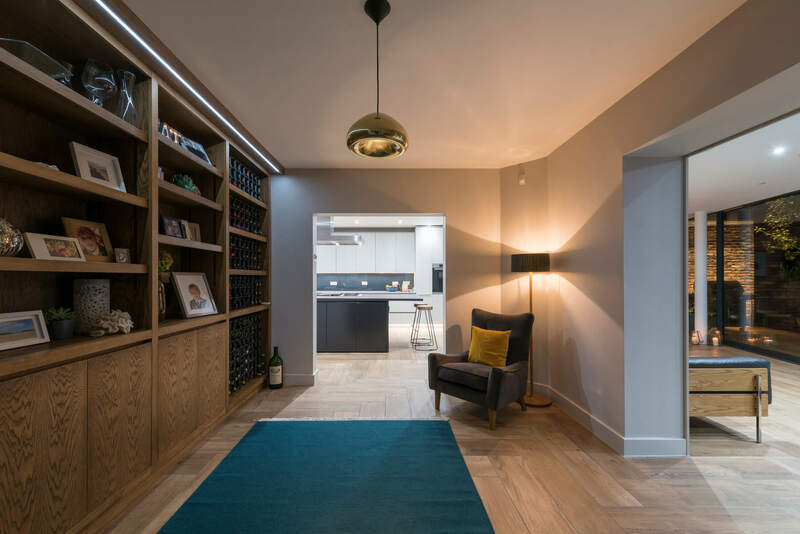 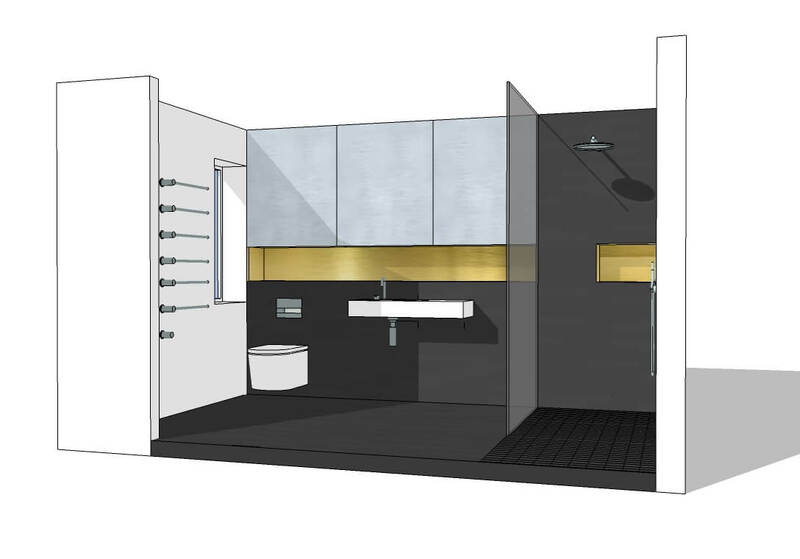 Materials, fixtures and fittings were selected to suit the clients wish for a modern/eclectic aesthetic (furniture and floor finish by client). 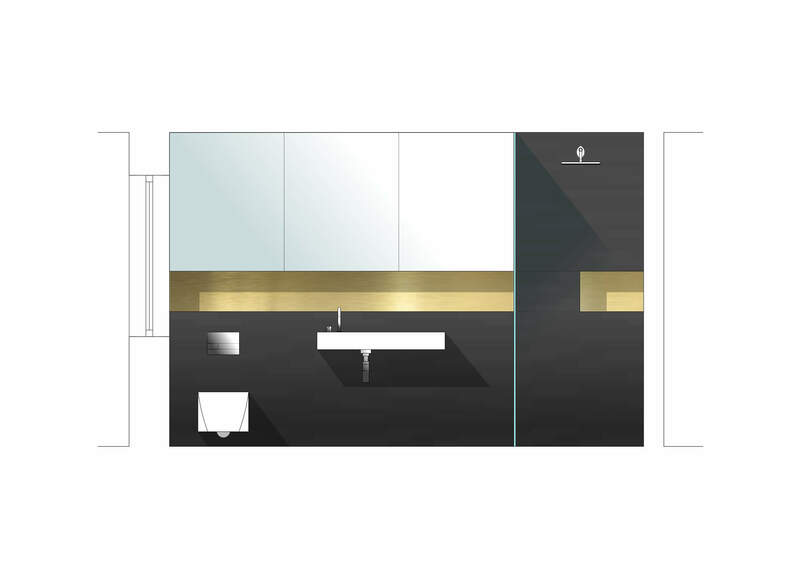 The original proposal incorporated a feature external stair (see images).